So, Pandora honey? Mind if Rubygirl has some space on your blog? 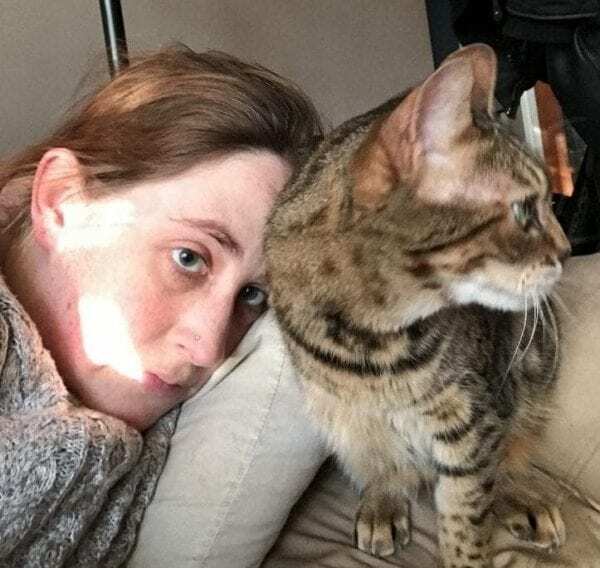 On February 26, we took Ruby to see a vet oncologist who laid out all our options. I’ve already talked about why we didn’t choose amputation in this case (see previous blog post), but what we did chose was radiation therapy. 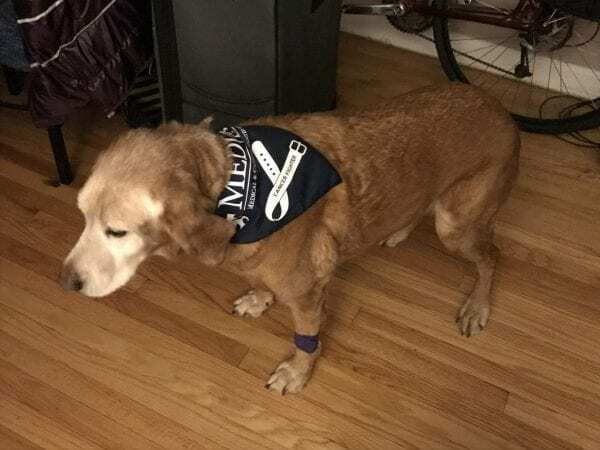 Based on what the vet said, radiation therapy could in some cases slow down tumor growth (if I remember correctly – my sincere apologies if I’m wrong on this), and can make a dog with osteosarcoma more comfortable and help with pain. We were all for that, especially considering that, based on what we were told, radiation is not hugely invasive and typically well tolerated. The clinic we took her to was pretty great and actually leaves space open on clinic days for things like this, so long story short they were able to do the treatment that afternoon. They did have to sedate Ruby, which of course always comes with a risk, but she thankfully did great. We picked her up that evening and she was a little groggy from the meds, but overall seemed well. We were told that radiation treatment can weaken the bone so we tried to keep her particularly quiet for at least the following week. Since then, it does seem like her gate got and maybe still is a little smoother than it was prior to the treatment (she’s on pain meds so I’m sure that’s helping too). At her checkup yesterday, her regular vet didn’t notice a significant change in the bump on her leg. I’ll take what I can get!! That sweet Ruby is one ruff and tuff doggy! Of course, having such caring and loving hoomans as her advocate is a big plus! How many treatments are involved and how often? Sounds like other than being a bit whacked shaking off the sedation, sounds like Ruby is doing really well!! glorious moment of being spoiled to the next! Cheeseburgers, ice cream, tummy rubs, unlimited treats, snuggling…………repeat! And Pandora, thank you very mich for sharing your blog with Ruby. You are a good team player! Extra kitty scratches for you! Thank you so so much for the kind words!!! As far as I’m concerned, she’s doing as well as I could hope for under the circumstances. I’m very aware that can change quickly so I’m trying to focus on enjoying the time I have with her. I just wrote a blog post about taking her swimming, I’ll write another one tomorrow with more info on the radiation treatment. Sending love!!! PS….sweeet pic of uou and Pandora. And is Ruby is stylin’ her bandana loke a true fashionista’! Aw thanks! I love pics of me and my fuzzies. Honestly, he bandana made me cry when I saw it! Thank you Pandora, it’s so nice of you to give Ruby some spotlight too. I think your vet needs to name a ward after you guys, you’ve seen more than your share of the vet lately! Yes, radiation therapy alleviates pain and can also decrease the tumor size. What kind of therapy did you choose? Was it stereotactic (one shot deal for a few weeks versus multiple sessions over many weeks)? Would also like to know just for my own curiosity, is she also getting bisphosphonates for pain relief? Oh and one more question: did the onco happen to mention anything about electrochemotherapy or intralesional chemotherapy? My guess is not since bone cancer isn’t typically treated this way but I’ve been doing some research on it lately and am curious. Thanks for sharing the details. Oh and YEAH we want to hear about swimming!